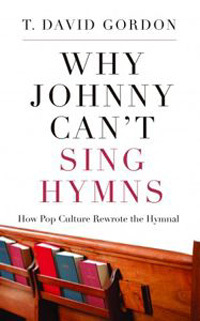 T. David Gordon just wrote a new book entitled Why Johnny Can’t Sing Hymns: How Pop Culture Rewrote the Hymnal. I read a bit of it and it looks pretty good. We need good books on this issue. One of his points is that we often approach the topic of corporate worship while getting off on the wrong foot. We ask the question, Is it lawful? And then if the answer is yes, we assume that it is also, therefore, beneficial. According to Paul (1 Cor. 10), we must realize this isn’t good theology or methodology. Next, there is the concept of contemporaneity. Gordon makes the point that all throughout church history certain scriptural, literary, and musical criteria were involved in determining whether music was to be acceptable for worship. 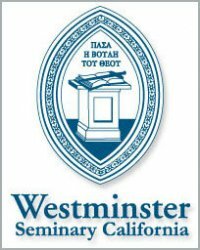 In fact, even in Charles Wesley’s day, the criteria were so rigorous that only one half of one percent of all his songs were published in the hymnal for the Methodist Church. Unimaginable one might think! Well, I guess we just have a lot better writers today. Why are there not signs outside churches that read: “Theologically Significant Worship,” or “Worship Appropriate to a Meeting between God and His Assembled People,” or “Worship That Is Literarily Apt and Thoughtful”? Why do the signs say “ContemporaryWorship,” as though that criterion were itself worthy of promoting? 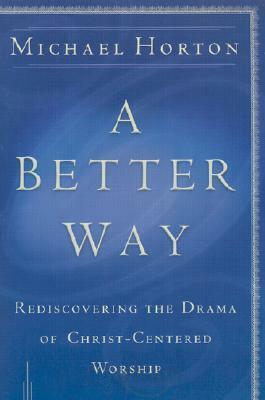 To be sure, some tough-hitting (but much needed) questions are to be found in this book. One last point, however, is worth noting. Gordon says the significance this issue is compounded when we recognize the emotional intensity we can feel about the music we love, and secondly, that this emotional intensity is connected to the worship of God — something we care very much about. Bring our sinfulness into the mix and we have nearly instantaneous and unavoidable combustibility.